The cost of the nine-year trial of leaders of the Khmer Rouge was staggering, and only three people were convicted. When asking whether this makes such international tribunals worth it, Peck looks into the functions of such courts like the Extraordinary Chambers in the Courts of Cambodia (ECCC). This cooperation allows for cultural understanding and efficiency, but it also necessitates good will between countries, which can be exceedingly unreliable. Read the article on The Republic. 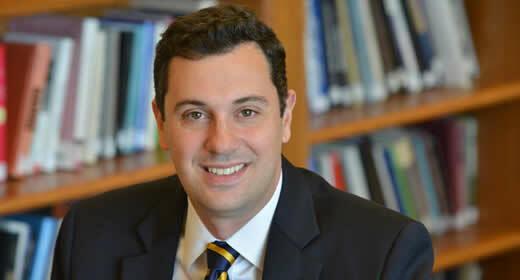 John D. Ciorciari is an associate professor of public policy and director of the Ford School's International Policy Center. He is an Andrew Carnegie Fellow and a senior legal advisor to the Documentation Center of Cambodia, and the co-author of Hybrid Justice: The Extraordinary Chambers in the Courts of Cambodia (University of Michigan Press 2014). Pursuit of Justice in Cambodia: A dialogue with Roger Phillips and John Ciorciari. Supports interdisciplinary research and education on international policy issues in the areas of prosperity, rights, security, and trade. Weiser Diplomacy Center serves as a hub for engagement with the foreign policy community, bringing a diverse cadre of seasoned diplomats and foreign policy experts to campus and creating new opportunities for students and faculty through public events, conferences, internships and fellowships, and more.